The results are from years of collecting information to figure out how cannabis alters emotional responses. In an attempt to gain a deeper understanding of marijuana’s effect on the brain and human emotions, a team of researchers from Colorado State University began a study over two years ago, monitoring 73 users. By the end of the program, the study size dwindled to 70, and usage levels were self-reported, leaving room for error and speculation by skeptics of the research. Dr. Lucy Troup led a team of scientists through years of collecting and testing information, hoping to figure out how cannabis alters a human’s emotional responses. After calculating the data and reaching a satisfactory answer, Dr. Troup has finally revealed her astounding results. 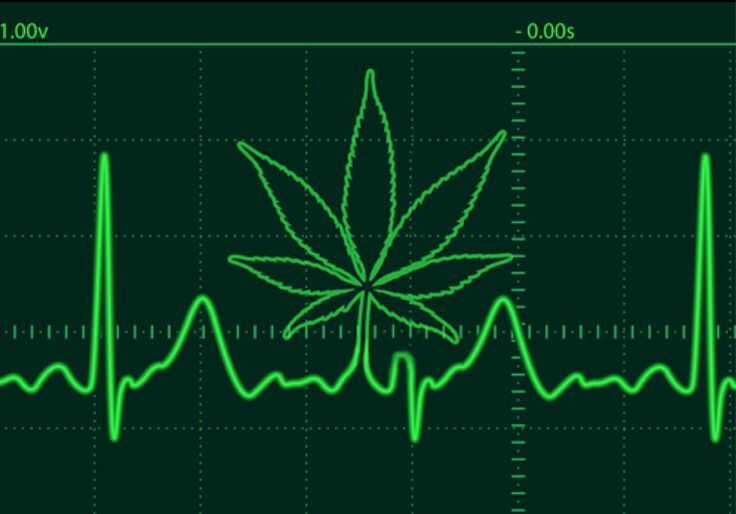 Volunteers reported whether they were heavy, moderate or non-users of cannabis prior to participation, and agreed to have their brain activity monitored by an EEG machine, used to detect the slightest change in sensory, cognitive or motor function activity. The machine monitored changes directly caused by P3 event-related potentials (ERPs), which measure activity in the cerebral cortex from a specific event or stimulus. Dr. Troup set out to discover if using cannabis could be an event worthy of causing changes to these measurements, and how those changes affect the emotional responses of users. After being attached to the machine, participants were shown images of faces with emotions: happy, fearful, angry and neutral. The results showed that cannabis users had a much lower P3 response to happy faces and a much stronger response to anger, implying that cannabis users have little to no instinct to empathize with the people around them. “These effects appear to increase with those participants that self-reported the highest levels of cannabis consumption.” – Dr. Troup. Does cannabis cause Autism-like symptoms? From the collected data, Dr. Troup concluded that whether the responses were implicit or explicit, some heavy cannabis users developed autistic-like reactions to human emotions, with parts of their brain struggling to have a true emotional response. After releasing the results of her study, Dr. Troup says she has been approached by many medical marijuana doctors, wondering how the effects of cannabis on heavy users could somehow change the way researchers look at and treat autism, which causes patients to have similar issues identifying specific human emotions and responses. Despite Dr. Troup’s data, many well-respected doctors disagree with the findings. Dr. Frank Lucido treats dozens of pediatric cannabis patients suffering from a wide range of illnesses, including autism, in the Berkeley, California area. He believes children should have the maximum dosage of CBD oils before trying THC-containing products, but says both have a place in the medical field, and to dismiss their medicinal benefits would be foolish. In an attempt to swerve the whiplash of criticism thrown her way, Dr. Troup chose to remain neutral on the issue of legalizing cannabis and stressed that the study was “really about making sense of it,” and that they just want to know what it does to emotional responses. Dr. Troup does agree, there is more research to be done. She hopes to discover if cannabis use is exacerbating undiagnosed existing conditions and being used as a coping mechanism, or if it is creating these autistic-like behaviors on its’ own. With more tests and studies scheduled to be performed, it is her hope that a definitive answer could someday be brought to light. Do you think cannabis use affect emotional responses? Let us know on social media or in the comments below.